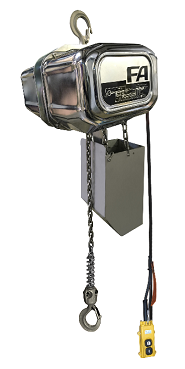 Harrington’s NER food grade electric hoists were carefully designed for food processing or food packaging applications. 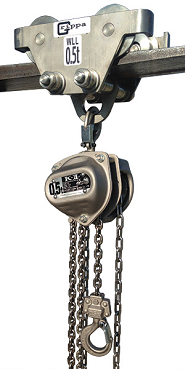 The hoists offer RoHS compliance, and its food grade lubricants comply with FDA standards, making them the perfect choice for any facility where incidental contact with product is a concern. 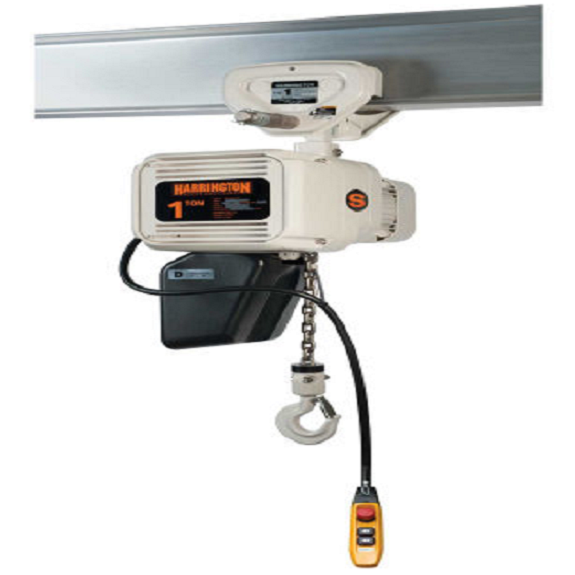 This three phase electric hoist includes all of the top quality features of the standard Harrington NER hoist and can be coupled with a push, geared or motorized trolley.